What's the only thing better than playing your favorite video games in stunning high definition? How about playing them in stunning high definition on a massive, wall-filling screen? The Optoma GameTime GT720 is a companion projector for the Playstation 3 or Xbox 360 gaming consoles, bringing you everything you need to turn your game console into a bright, high-resolution, dynamic mobile party starter. It's not a perfect product; placement can be difficult and the 3D capability is deceptive. But when you want a big HD picture on the wall for an evening of gaming with your friends, and don't want to break the bank to get it, the GT720 is the way to go. Street prices begin at $799. Image quality. The GT720 puts up a great looking picture. The image is plenty bright, so ambient light is not much of a concern. If you don't have light shining directly on the screen, you should be fine. Contrast is impressive as well, giving the image a very three-dimensional appearance. Since the PS3 outputs in standard HD formats like 1280x720 and 1920x1080, you will see some slight black bars on the top and bottom of the picture; the GT720 is a 1280x800 projector. But the end result is still a big beautiful HD picture. Light output. At 2500 lumens, the GT720 promises to be very bright indeed. Our test sample measured 2233 lumens in its brightest mode, or 89% of the stated specification. Now, that's fantastic if you want to put up a 100" or 120" screen in ambient light, or even a 150" screen in the dark. But what if you're not aiming quite so large and need to reduce light output? Low lamp mode drops lumen output by 9% in all modes and also increases lamp life. Cinema mode improves the appearance of mid tones and color accuracy, and comes out at 1165 lumens in high lamp mode. For something between those two, Game mode has better color saturation and dynamic range than Bright mode does while still cranking out 1977 lumens. Contrast. When a projector is meant to be used in ambient light, the contrast specification tells you almost nothing. The GT720 looks great in some ambient light, producing a picture with good dynamic range. Shadow detail is clearly visible, and blacks are solid without crushing detail in the shadows. Highlights can appear a touch overdriven with BrilliantColor turned all the way up, but even that only occurs in certain scenes with a lot of detail in very bright highlights. Even without any adjustment, the GT720 has a balanced, high-contrast picture that seems to pop off the screen.
" replacements cost only $200". You state this as a matter of fact. Okay. How many projectors have you reviewed in the past THREE years and went back to find out the cost or AVAILABILITY of the replacement lamps? I have asked before about the lumen output as a function of time and still you publish nothing. Finally, have you ever tested the claims of eco versus normal lamp mode (again lumen output versus time)? Surely, you have the means to make extrapolations. Chris, I don't understand your complaint about the review quoting the cost of the replacement lamp. We think giving the reader this data is helpful. Regarding lumen output over time, we do not have the ability to test the degree to which lumen output will degrade on any given model, nor do we have the ability to test life span expectations based on full power vs. eco modes. These tests would be extremely expensive. They would require long term burns of many samples of a given model in order to estimate average performance over time. We would have to turn them on and off over a period of thousands of hours of usage to replicate the anticipated typical usage pattern. Practically speaking, by the time thorough and legitimate tests were complete the model in question would be at end of life. Keep in mind that the database and reviews on this site are free to the public. So the funds we have available to collect data, test projectors and write reviews are not unlimited. Please review this projector based on it's actual merits as a movie projector! This review is useless to compare against projectors like Optoma HD66, since you only concentrate on the gaming aspect. I don't want a separate projector for games - who really would want two projectors in their living room? I want a movie projector, that can do games as well! To Nuutti Kotivuori - I have the HD66 and it does very well at both. I've played both low-res games (Gamecube & PS2) as well as Hi-res (Xbox 360) and it works great with all of them. There is no more noticeable lag than I've had with any of my TV's. If anything, my performance in the games has increased because you can see EVERYTHING on the gameplay field. First person shooters really shine on the HD66. If you're looking for multipurpose, the HD66 is your moneymaker, at least from my experience. Planning to buy this projector but unable to find it below the $799 price. Please suggest where when I get this on sale? Thanks! hello... i want to buy this projector through instalment process.how can get it?pls inform me .i like this very well. thanks for your informations. i want to buy a pj for movies in a small room. I was looking at Dell s300 and then saw Optoma gt720. can you please tell me which would be best for home movies, pros and cons. thank you. Hi Bill , any chance you can remember the light output in 3d mode? 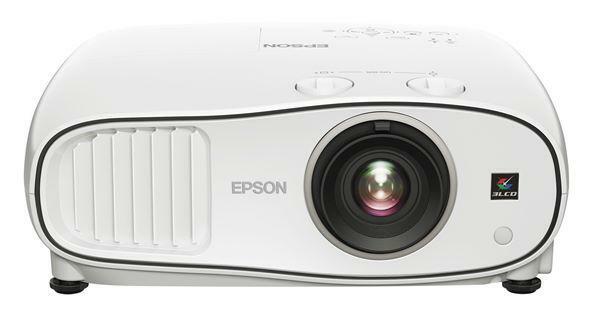 Can i use this projector with the soon to be released Optoma 3d-xl adapter for 3d blu ray movies? or do i need a firmware update as well? Thank you for your time. This is an awesome projector and I "Highly reccomend it". for the projector and a celing mount I payed $729.00 thats tax included on the web site www.yesmicro.com it was during the christmas sale, but im sure you can still get one there for less than $799. Good luck and enjoy I know I am...lol. Hello! I'm an engineer.I want to buy this type of projector, but realy i need to know its aveage life span. can anyboy tell me please. This projector is the worst projector ever. I bought mine at best buy three months later the lens inside the projector melted completely. I check online it turns out that this is a very common problem with this projector. stay away from it. A full year of almost 5 hours per day use, still on the first bulb and the image quality is great. Contrast ratio is a little noticeable, but definitely no complaints. Thank you for making such a good review, however, you can use the 3D function with the PS3, xbox and 3d Blu ray, all you need do is by the Optoma 3DXL with shutter glasses - Amazon £250.00. After 450 hours of use, I got a whit stuck pixel. Within a month that has increased to several hundred stuck pixels, black and white. Looks like the unit I have is only worth the the bulb that is in it. Wondering if this is a common problem? I bought a GT700 projector at the end of November in 2010. Just as of last week I started getting white and black pixels. They grew very fast, about 1 new dead pixel every hour or so that it was on. Today I just sent it back to Optoma under warranty. Hopefully the RMA process goes smoothly. Other than this problem the projector has been great all around. Refresh rate is amazing for games, color has maintained bright and the picture is very crisp. Even with only a 2x color wheel movies look great and I have yet to hear any complaints of rainbows. Luckily my projector still under warranty but I can only imagine how [censored] I would have been for this product to go belly up in less than 10 months and with only about 1,000hrs on the bulb. If you are considering buying this product I recommend purchasing an extended warranty through Optoma. I would just like to second the comments of both James, Jeff and Rod. I've had two GT720 projectors and both have failed within a few months. I bought the first one in January 2011 from BestBuy and the lens melted or overheated on it within 4 months, like Rod. The second projector ran fine for about 5 months until, about a week ago, I noticed pixels on the right side of the screen dying rapidly, like James and Jeff. This is in contrast to my Optoma HD70, which has run for 3+ years without any screen defects. I've bought three Optoma GT720 projectors for the flight simulator use. One of them failed after 10 hours of work (bad DMD chip - thousands of stuck black and white pixels) Just came back after RMA repairs for a month. Loved my optoma gt720.. Had almost two years and lens burned up inside just before superbowl.. Being a GIANTS fan I am very disappointed.. Thought it was bulb at first and bought new.. Not problem though.. Problem is lens burnt up inside projector.. Cant find a place to buy replacement.. Please help..
had my 720 gt about a year now and its usually on 24/7 has 4175 hours on the same lamp and the picture is still excellent, never had a problem with it. After about 8 months of use, mine developed an intermittent whine that produced a VERY blurry image with horrible color. I suspect the bearing on the color wheel failed. It was repaired under warranty. About a month ago (now out of warranty), it developed a dead (white) pixel. Now, there's hundreds of them. The projector has about 1600hrs on it. Two failures in less than the lifespan of one bulb. I've bought my last Optoma.